Last week was Earth Day and it helps to keep thinking of ways to be green. Reducing the emissions that are released into the atmosphere each day is important. The more emissions that escape the more damage it can do to the planet on which we live. Not only that, it is also bad for our health and the health of our children. Protecting the planet and preserving it for future generations is important. It is an issue that governments globally must address. In California, when the regulations for the reduction in emissions was first released, a waiver was sought. Now everything is in place and the enforcement of the reduction in emissions is set to begin. There is no date as yet for when the enforcement will begin, but as a business owner it is your responsibility to ensure that all your vehicles meet the requirements. What is interesting is the fact that in the U.S SmartWay aerodynamic technology is at present voluntary for the large trucks. However, in California this will be a necessity. 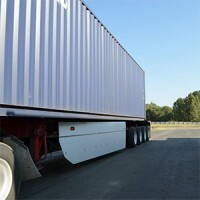 Some of the features which are required by California Air Resources Board include the use of trailer skirts and trailer tails as well as the use of low-rolling-resistance tires. All these features help to reduce the amount of fuel used and in turn reduces the impact of the emissions on the environment. Understanding the requirements is going to be key for any business, which intends to travel in California. There is no indication of whether there is going to be a grace period to address the situation or if a fine and notice of the violation is the first action. Therefore, due to the lack of information as to when and how the 2009 greenhouse gas emission is to be enforced, it is important that business owners consider the impact and start working towards ensuring their fleets meet the requirement. If your moving business run out of California, you want to do everything possible to avoid a fine or a violation that could jeopardize the company’s reputation.